Recently there has been a groundbreaking decision overturning a prenuptial agreement --- how has that changed the landscape of new york law with regards to prenuptial agreements? Does it still make sense to enter into a prenuptial agreement? When is it likely that a court would overturn a prenuptial agreement? In view of the March, 2013 decision of the Brooklyn Appellate Court in Petrakis v. Petrakis which upheld the rare decision of overturning a prenuptial agreement, it becomes even more important have an attorney with knowledge of the needed terms and needs in the execution of these documents. In this case, where the prenuptial agreement benefitted the millionaire husband at the expense of the wife, some very serious factors came into play for this unusual result to occur. This is not the first case of its kind, though it is having a new impact. The agreement at issue was signed only four days before the wedding with the soon to be husband threatening to call off the wedding if the soon to be wife did not sign the agreement. Further evidence showed that the husband had said he would “rip it up as soon as (we) had kids,” which did not happen. In addition, the trial court found the wife’s testimony to be credible and direct, consistent with the other evidence while if found the husband to be evasive and not credible. In lay terms, the court found the wife was telling the truth in saying she was threatened and coerced into signing the agreement, and the husband was not truthful in his testimony and the Appellate Division agreed. By no means does this decision end the benefit of prenuptial agreements, but rather, gives guidance to the drafter. It has been made clear that the timing of execution of a prenuptial agreement has to be taken into consideration. An execution too close to a wedding under threat of cancelling the wedding will not be tolerated and could result in the overturning of the agreement if challenged. When one party is perceived by the Court as telling the truth which is supported by other evidence in trying to overturn the agreement, while the one trying to maintain the agreement is seen by the Court as evasive and untruthful, the results are clear that the agreement will not stand. Whether it will be necessary for all of the factors present in this case to exist in order to have a prenuptial agreement overturned or whether lesser factors will be enough to get the agreement overturned is not yet known. Only time will tell as more cases are brought challenging prenuptial agreements. What we do know is that the pitfalls in the timing and forced execution underlying the Petrakis prenuptial agreement must be avoided or the agreement fail upon challenge. Contact the Fanily Law Practice of Renata Weissman, Brooklyn NY for best assistance in Prenuptial advice and legal help. 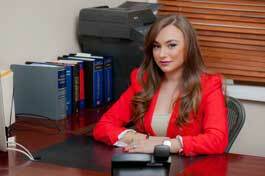 This Legal firm can be reached Toll Free at 855-736-2829.